As a long time veteran of political internet wars, both between right and left and intra-right, I have observed that at times some really silly arguments get repeated over and over despite their flimsiness to casual inspection. People presumably see these arguments made by others, judge them to be effective and then mindlessly repeat them without thinking them through. Thus they get perpetuated, and you repeatedly have to deal with them despite their weakness. I would give some examples, but I don’t want to provoke an argument about the validity of those arguments and sidetrack this essay. This essay is about one particularly bizarre contention that I have recently been seeing with increasing frequency. By addressing it here, in the future I’m just going to link back to this essay every time it comes up, and save myself the headache of addressing it anew each time. Those who see this as a troublesome trend will often accuse the social justice advocates of embracing and advancing “Cultural Marxism.” Here’s where the bizarre argument comes in. Increasingly I am seeing many, whether those actively advocating social justice causes or supposedly neutral observers, attempting to dismiss the charge of Cultural Marxism by claiming that Cultural Marxism is not a real thing and does not exist. Left-wing Social Justice Warriors have long dismissed Cultural Marxism as a right-wing conspiracy theory. These are not who I’m addressing here. These are not people who are arguing in good faith. The people I’m addressing are Christians who are presumably arguing in good faith. They are making the pedantic semantic argument that there can be no such thing as Cultural Marxism because Marxism is entirely an economic theory and doesn’t deal with culture, therefore Cultural Marxism cannot be a thing. With this declaration, the charge of Cultural Marxism is dismissed with a wave of the hand. Thanks, I’m glad you asked. 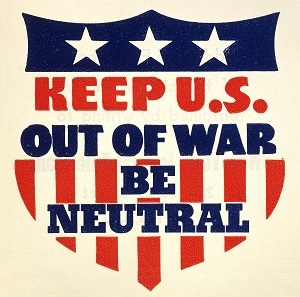 We should renounce our mutual defense alliance with South Korea (and Japan), bring all our troops home from South Korea (and Japan), declare neutrality, and henceforth mind our own business. We could then put some of those excess troops on our southern border to build that wall. Wow, that was easy. Next question. However, before America gets plunged into another war, a serious question needs to be asked. How do we (meaning us regular folks) know that North Korea even has a functioning nuclear warhead? Because our government said so and the mainstream media dutifully reported it? Didn’t the same entities tell us that Iraq had weapons of mass destruction? How did that work out? Note that I don’t necessarily doubt that North Korea has detonated crude nukes. The seismic evidence seems to support this. The question is whether they have a functioning nuclear warhead capable of delivery by missile which is no small technical feat. On 8 Aug it was reported by the Washington Post that, per the Defense Intelligence Agency (DIA), North Korea had successfully miniaturized a nuclear warhead small enough to fit inside its missiles. Today, the CIA and “other key U.S. intelligence agencies” confirmed the DIA assessment. How do we know this is true? Because a U.S. government intel agency said so? Because the liberal media reported it? But didn’t our Intelligence Community tell us that the Russians hacked the DNC emails? We now know that is almost certainly not true, and we also know that the FBI very likely knew it to be false at the time they reported it. Aren’t these same intel agencies currently engaged in a Deep State soft coup attempt, eagerly abetted by the liberal media, against Trump largely because he promised a change in direction on foreign policy, thereby threatening the justification for our massive Warfare/Security state? If you don’t believe the claims from the same entities that Russia hacked the election, as many who might potentially support an attack on North Korea don’t, why do you believe the claims about North Korea’s nukes? Why do you now suddenly believe the #FakeNews liberal Washington Post? Why is blatantly anti-Trump NBC now credible? Think about it before you get behind another war. In the wake of the revelations about Donald Trump Jr.’s meeting with a Russian lawyer, the already unhinged promoters of the RussiaGate ruse are amping their rhetoric up even further, if that is even possible. I am frequently seeing the charge of “treason” and “traitor” casually tossed around. The problem for the RussiaGate hysterics is that treason has a precise definition in the U.S. Constitution, and neither Don Jr. nor anyone else associated with this come anywhere close to meeting it. Treason against the United States shall consist only in levying war against them, or in adhering to their enemies, giving them aid and comfort. No person shall be convicted of treason unless on the testimony of two witnesses to the same overt act, or on confession in open Court. The Congress shall have power to declare the punishment of treason. Words have meanings, and if we are going to attempt to have a civil discourse in this country about our political differences, these meanings should be respected and loaded words should not be used as casual slurs. (It is likely given the current manifestations of the left and the Democrat Party too much credit to assume they actually want a civil debate, but bear with me for the sake of the argument.) I say this not just about treason which has a precise definition but also terms like Nazi and (F)fascist, which the left also tosses around casually as slurs, despite these words having real meanings and historical contexts that make their use in the modern American political scene almost always inaccurate. And for the record, I also counsel my fellow rightists against the casual use of the word (C)communist which accurately applies to very few people in the modern American political milieu. There is a debate about whether, even if the RussiaGater’s spin on the event is true, Don Jr. even broke any law at all. Do the anti-Trump hysterics really want to go to the mat over an issue where one credible interpretation is that no law was even broken and the other end is that he is guilty of a capital offense? This sort of absurd escalation just makes them look silly. And then they wonder why Americans are growing tired of the liberal media’s constant Russia obsession. Are there really any RussiaGate conspiracy theorists who actually believe some prosecutor will bring a charge of treason against Don Jr.? If so, do you want to place a little wager on it? Since I seriously doubt I will have many takers, casually tossing around the charge of treason is not credible legally speaking. It is simply a slur that is poisoning the debate. You would think that liberals of all people, if that term has any real meaning in America anymore, would be sensitive to the use of such charges to quash dissent. It is clear that the RussiaGate conspiracists are not truly motivated by a genuine concern over foreign interference in our election. They are just anti-Trump. It is known that Britain, Estonia, and Ukraine attempted to aid the Hillary campaign with dirt on Trump. Where is the similar outrage about this? Anti-Trumpers paid a former (?) British spy to compile a dossier against Trump collected from foreign sources. Far from decrying this in the same way they are the alleged Trump Russia connection, by and large the same crowd that is hyping the Russian conspiracy were giddy with excitement about the potential contents of the dossier. So please spare me your feigned concerns about foreign interference. Your real concern is and always has been that your insider candidate was beaten by an outsider political novice, and you can’t get over it.